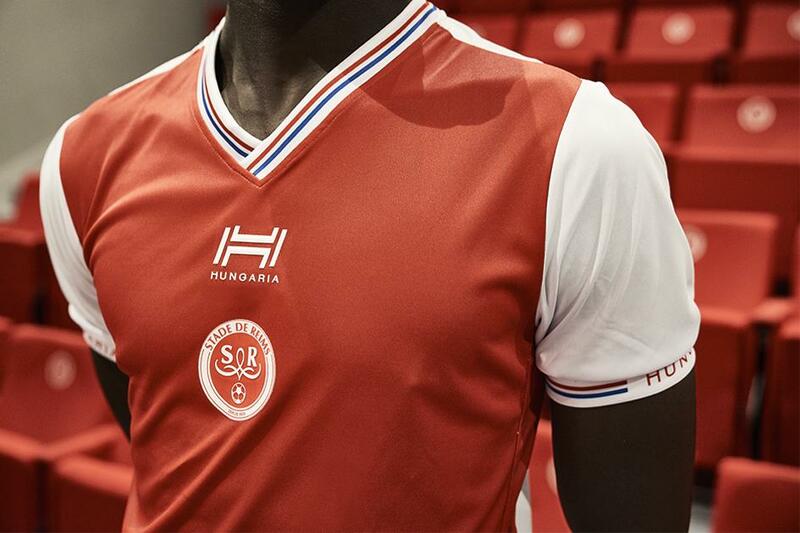 Stade Reims, who will return to Ligue 1 after a while in the second tier, unveiled their new home kit, which is produced by iconic brand Hungaria. For the new Stade Reims home shirt, Hungaria has come up with a rather simple, classic look. It’s red with white sleeves and an overlap v-collar. Centrally placed logos and a tricolor detail on the sleeve cuffs and neckline complete the design. The new Stade Reims 18-19 away kit features dotted design with the predominantly green color and the golden applications on the front side of the shirt, on cuffs and on the collar. On the bottom, there is a classy detail feature French national colors. Club badge is placed on the middle of the chest and has monochromatic golden design.